We at Cooksville Dodge Chrysler Jeep Ram know that your cars, SUVs, and trucks require special service. We also know that you might be interested in specials on service. We make sure these two things come together at our location in Mississauga. Express Oil Change is now available at Cooksville Dodge Chrysler Jeep RAM in Mississauga. No appointment is needed, simply walk in and have your car serviced in no time. 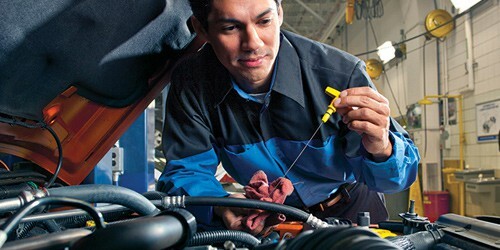 We also provide a multi-point courtesy check-up for your vehicle. 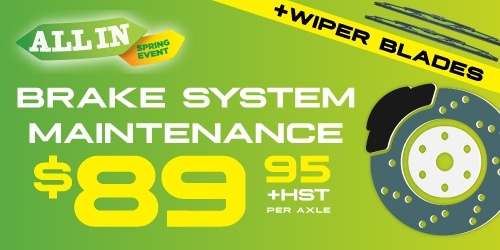 Book your service appointment at Cooksville today! Disclaimer: Synthetic/semi-synthetic oil available at additional cost. ±Up to 7 litres of Genuine Mopar Motor Oil with Hemi Service. An environmental handling charge may apply. Additional charges may be applied based on vehicle configuration and options and fluid disposal. 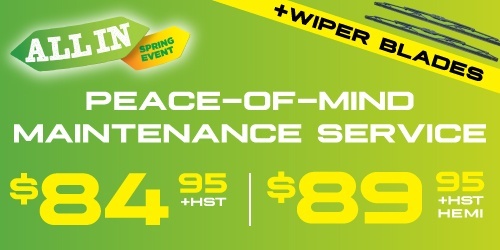 Disclaimer: When done in conjunction with Peace-Of-Mind Maintenance Service. 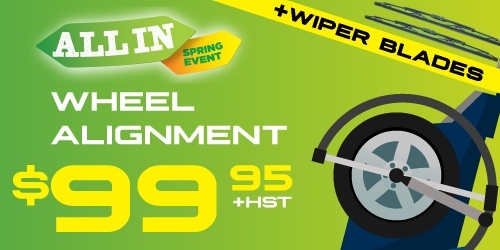 $99.95 per axle on a stand-alone basis. Disclaimer: ≠All necessary parts and related labour extra. Additional charges may be applied based on vehicle configuration and options. Get back that new car feeling! Let our detailing team get your car, truck, van or SUV looking and shinning like its brand new again! Contact us to book an appointment today. Send me exclusive offers and promotions. View DisclaimerBy submitting your email address or phone number, you allow us, Cooksville Dodge Chrysler Jeep Ram, to include you on our contact lists to send you information about our products, services and promotions. You may revoke consent at any time by clicking on the "Unsubscribe" link in your email. 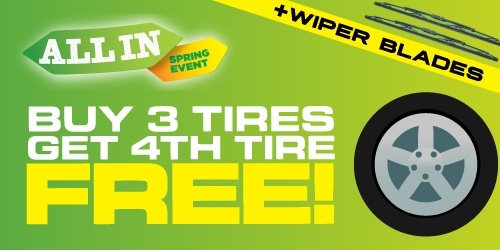 Spring Event: Buy 3 Tires Get 4th Free! Disclaimer: † Must be dealer installed. Excludes tire size over 18 inches.